Climawatt anti allergy and moisture elimination properties. 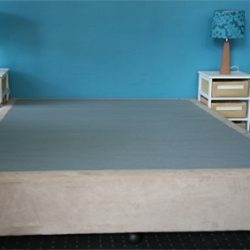 The Perfect mattress uses the best of new and existing technologies and materials to provide the perfect sleeping environment.At its heart is the 7 zoned natural latex core to mould to your body to maximise back support and hip and shoulder comfort and give optimal spine alignment.Natural latex from the sap of rubber trees in sustainable plantations. 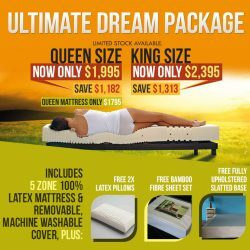 The Perfect mattress has open celled breathable latex with ventilation holes top and bottom as well as 8 cross vent channels for a cool dry comfortable and healthy sleeping environment. The Perfect mattress has a state of the art zip off washable cover with extra side vent mesh. Only millimetres thick it combines the best possible materials and features to give perfect comfort (and hygienic and healthy sleeping environment) The top is made from natural bamboo fibre with a lovely soft touch and is naturally bacteria and fungi resistant, ideal for allergy sufferers.Then comes the amazing air flow layer, a matrix of vertical fibres providing outstanding ventilation by creating a pocket of free flowing air between you and the latex. The quilting is climawatt, a patented grooved microfiber that wicks away any moisture. 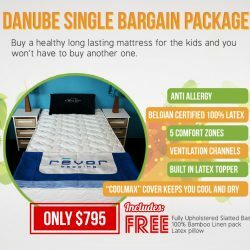 The Perfect mattress with a natural latex core and bamboo cover lasting an expected 20 to 30 years is so much better value for you and the environment than other mattresses full of petrochemicals and synthetics which might last 10 years. 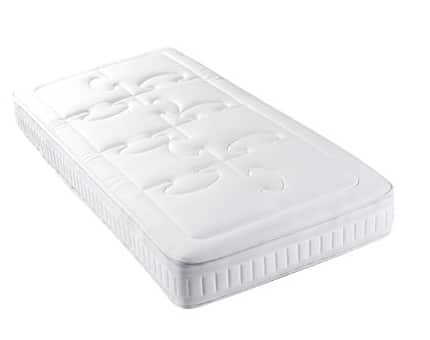 The Revor Perfect mattress features a 100% latex medium core for those that prefer gentle support that doesn’t press on your pressure points on shoulders and hips thereby reducing blood circulation, but still supports the small of your back allowing optimum time in your deep sleep cycle. 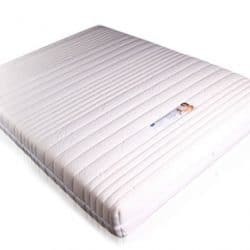 It has a 4cm built in 100% natural latex softer topper on one side to add a plush luxurious feel without reducing the support or can be flipped to the firmer side without topper. 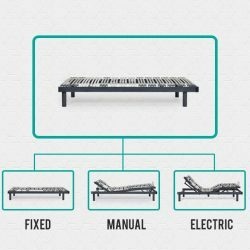 It has 7 sleeping zones on both sides of the mattress and is equal north and south. 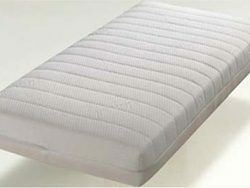 It has a firmer head zone then a softer shoulder zone for the broadest part of your body to reduce pressure and encourage blood circulation so that you turn less in your sleep, followed by a firmer back zone for support followed by a softer hip zone to allow for your hip shape followed by a repeat of zones to allow you to rotate your mattress. 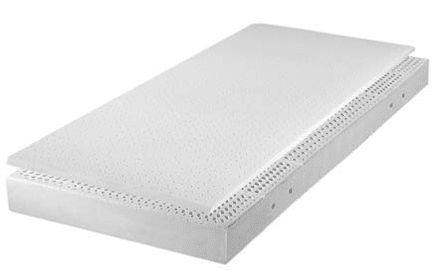 It has ventilation holes top, bottom and 8 right through the sides combined with an open cell construction which leaves the mattress free to breathe keeping you cooler and drier. It has a zip off washable natural pure bamboo cover which is naturally anti-bacterial and anti-fungal, ideal for allergy sufferers and most importantly the most breathable fabric on the market today, breathing up to 4 times better than cotton, it is also eco-friendly, strong, durable but soft and wicks moisture away.